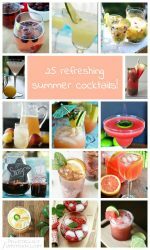 Tinto De Verano is one of my favorite refreshing summer drinks! 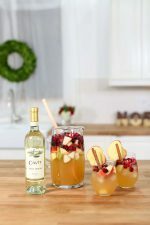 It’s been dubbed “poor man’s sangria” because the delicious, fruity taste is similar to sangria, but it is way cheaper, only requires two ingredients, and takes less than two minutes to put together! Sangria is a popular drink in Spain, but it’s a bit involved and takes a while to put together. 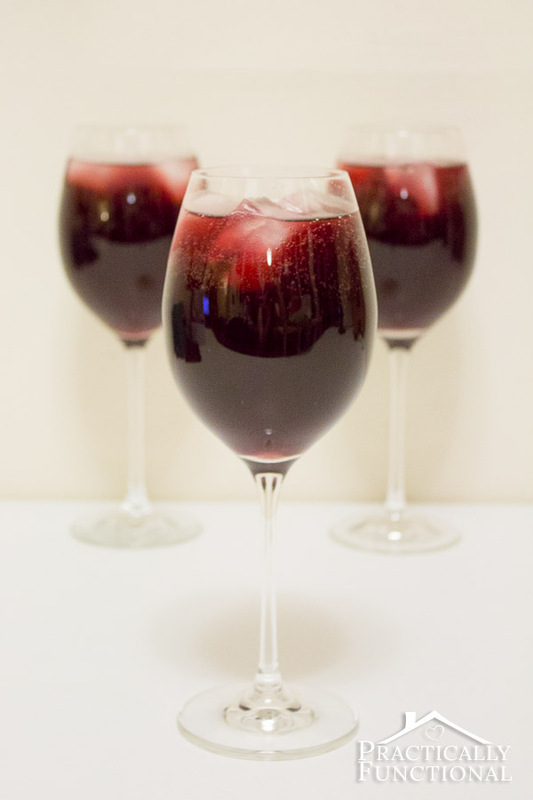 Tinto De Verano (literally “Red wine of summer”) is a quick, easy, and cheap alternative if you’re looking for a refreshing summer drink that doesn’t take an hour to prepare! 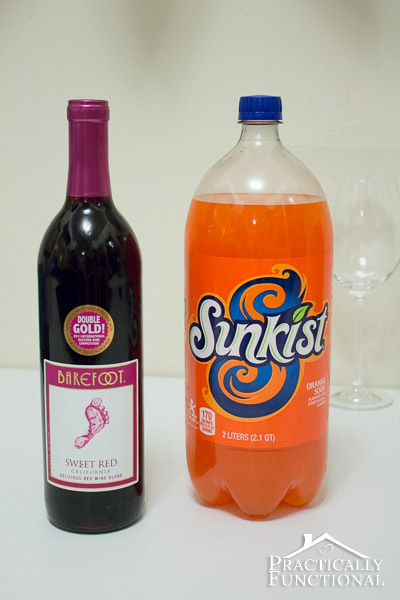 The basic recipe is one part red wine to one part orange soda. So just pour it into a glass and enjoy! 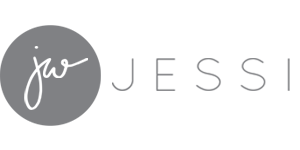 I promise, it’s amazing, and you’ll love it! Add an ice cube or two if the drink isn’t cold enough, and feel free to play around with the wine to soda ratio. You can easily make it stronger or more fruity by adding more wine or more soda! My preference is orange soda, but you can make the drink with a lemon soda instead if you want! In Spain, if we couldn’t find orange Fanta, we used lemon or orange Pellegrino, and it was just as delicious! 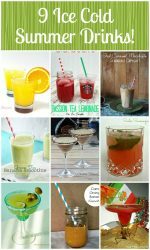 Looking for some more delicious drink recipes? Check these out! 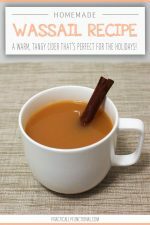 11 Warm And Delicious Fall Drinks! 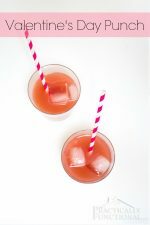 Tinto De Verano is a quick, easy, and cheap sangria alternative; it only requires two ingredients, takes two minutes to prepare, and is absolutely delicious and refreshing! 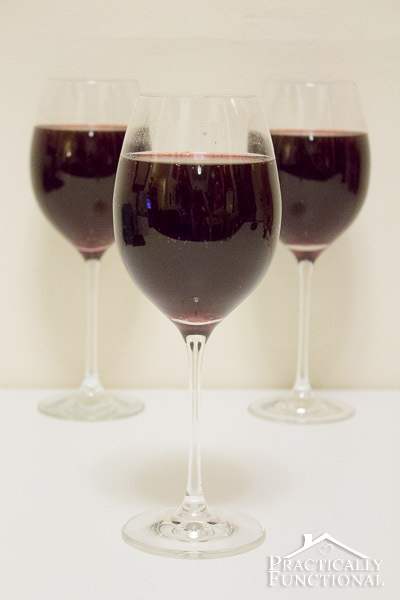 Pour equals parts of red wine and orange soda into a glass, stir, and enjoy! Feel free to play around with the wine to soda ratio. You can easily make it stronger or more fruity by adding more wine or more soda! This drink can be made with lemon soda instead of orange, if that is your preference! When I visited Spain tinto de verano was made with red wine and lemonade (European lemonade, not cloudy lemonade) – so maybe Sprite or something similar would work as well! Yeah it totally would! Actually when I was in Spain they made this drink with Pellegrino aranciata (sparkling orange) or limonata (sparkling lemon) and you could choose which one you wanted at restaurants etc. But I always liked the orange better so that's how we make it now. Basically red wine and anything sparkling and sweet is going to be delicious! just in time for the weekend…yippie, just send my husband for ingredients!!!! loving it. Hmm this sounds interesting! I may have to try it! I love me some Sangria! Also, oh Europe. I have fond memories of drinking wine on public streetcars and carting around bottles full of mixed alcohol for picnics and chilling wine in the park fountains and no one thinks you're odd (or an alcoholic). Sigh. Okay, being pregnant in the summer is pretty much the worst idea ever. No margaritas, no pina coladas, no sangria, no mojitos, no cold beer, no chilled white zin, no ANYTHING. Lame. Aww yeah, the no alcohol while pregnant thing can't be fun. 🙁 But 6 months from now…!!! Now THIS is my kind of sangria!! Totally pinning and I cannot wait to make this! 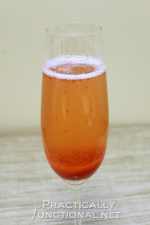 My dad drinks an orange-flavored seltzer water, and I discovered that mixing it with wine (red OR white) results in a refreshing drink that doesn’t go to my head 😉 Like yours, it’s sweeter – like those Bartles & Jaymes ‘wine coolers’ from the past! This Sangria recipe was served at an Art Gallery in West Jefferson, NC that I visited this past weekend. When I asked the gallery owner for the recipe, I could not believe how easy it was! I will be making this year round. It was DELICIOUS!